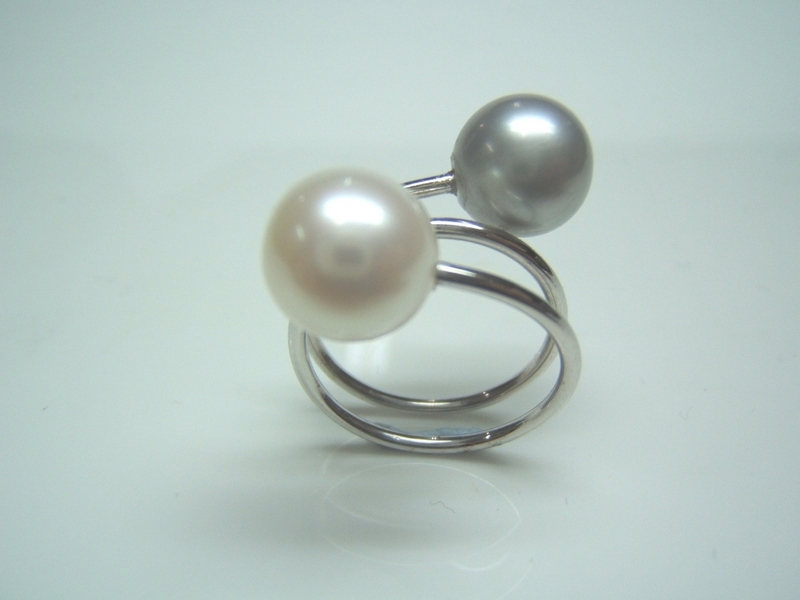 Ring in 18-carat white gold with a white pearl cultivated in fresh water of 9.5 millimeters and a pearl gray cultured freshwater 9.5 mm. Ring size adaptable from 12 to 14. Ring entirely made by hand by an artisan jeweler.